Number recognition is a math skill for kindergarteners. 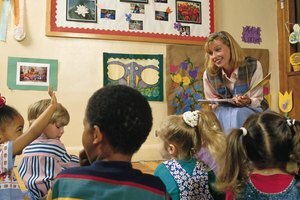 Your child's kindergarten year marks his first formal year of academic instruction. Reading and math are the two main academic areas that teachers emphasize. Although your child will learn many other skills, most of the instructional day will focus on these two subjects. 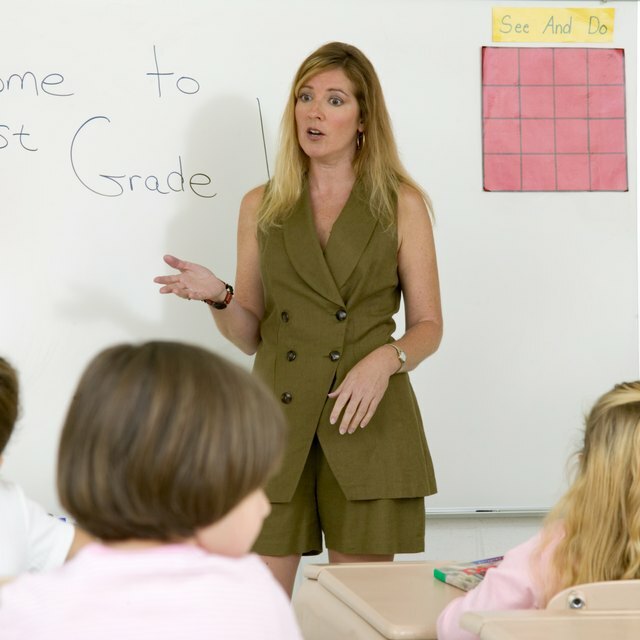 They are important because a student must master the basics to succeed in subsequent grades. This is especially true concerning math, in which skills must build on one another. 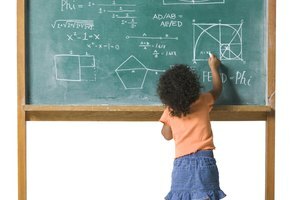 A kindergarten teacher will focus on number sense and will introduce measurement and geometry concepts. 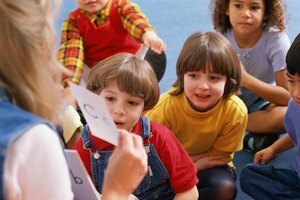 Many children entering kindergarten can count orally to 10. Teachers will slowly increase this until the class can count to 100 by the end of the year. Your child will also learn how to count by 5's and 10's to 100. Some teachers will introduce skip counting by 2's to 20. Along with oral counting is one-to-one matching in which children point to and count objects like plastic blocks or chips. This exercise shows students that one number corresponds to one object. Number recognition is taught simultaneously with counting because students need to understand that numbers have a name and a shape. Children will also write numbers to reinforce this. Understanding quantity is a concept that teachers work on all year. Students will look at pictures in a workbook or objects on a table, count them, write the number, then determine which ones are more or less. This skill is necessary for higher level objectives like reading graphs, which your child's teacher will introduce later in the year. Addition and subtraction are usually taught in the second semester of kindergarten after students can recognize numbers 0 through 10 and can understand that each successive number indicates a larger quantity. Teachers use several methods including using tally marks, dots or a number line to demonstrate addition. Subtraction is a bit more complex because students have to switch their thinking to "less" instead of "more." 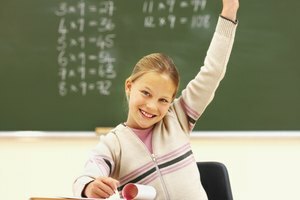 Teachers try to show students that counting backward or taking away one object from a group means that not as many remain. Your child will reinforce these skills with larger numbers in first grade, but he should understand the concept of adding and subtracting by the end of kindergarten. Your child might already know the four basic shapes: circle, square, rectangle and triangle. Kindergarten teachers start here and introduce a few others like the hexagon, octagon, star, diamond and oval. Students will learn to count the sides and corners of shapes. Solid shapes are also taught. These include the cube, cone, rectangular prism, pyramid and sphere. Your child will learn the basics of measurement in kindergarten. He will compare objects to determine which is longer or shorter. His teacher will also introduce capacity. Instead of specifics like cups or ounces, your child will just have to recognize containers that hold more, or less or objects that are heavier or lighter. Hollowell, Karen. "What Math Skills Are Taught in Kindergarten?" 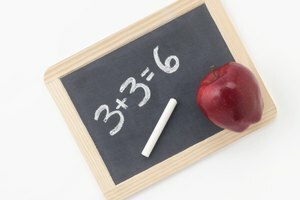 Synonym, https://classroom.synonym.com/math-skills-taught-kindergarten-5620.html. 26 September 2017.